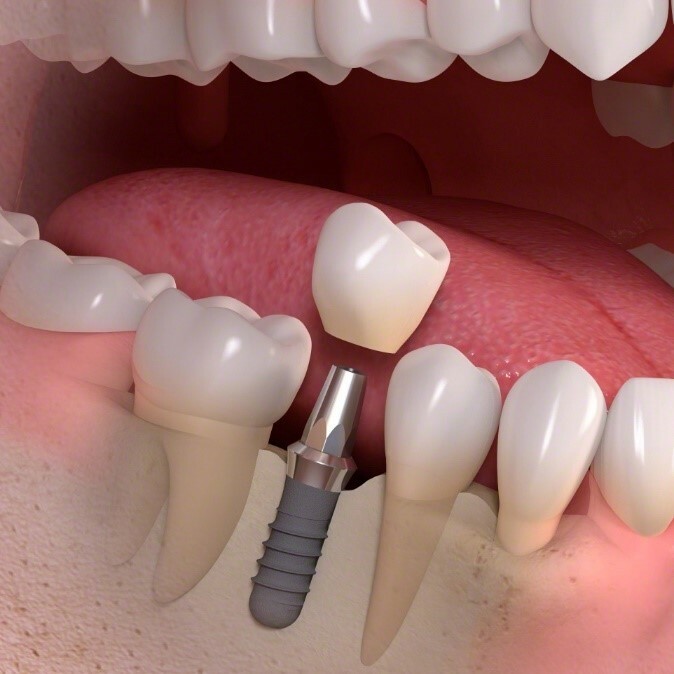 If you miss your teeth, then dental implants are the solution for you. Dental implants provide a cutting-edge solution for people with missing teeth and allows you to throw away your removable dentures for good. It is the closest thing you can get to your own tooth. A dental implant is a metal (titanium) screw which gets placed in your jaw and after a period of healing it becomes a part of your jaw. A crown can then be made to attach to this screw to produce a tooth which looks and functions just like a natural tooth. Dental implants also prevent your bone from shrinking and giving the area a “sunken-in” appearance.